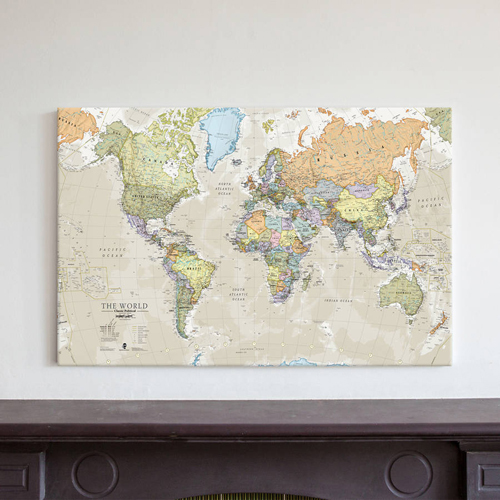 Our canvas map prints are the perfect treat for the travel enthusiast or a wonderful gift for a friend or loved one. 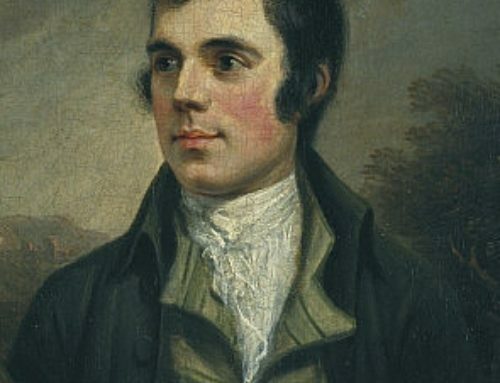 They look great and would add a touch of style to your interior and be a useful resource guide. 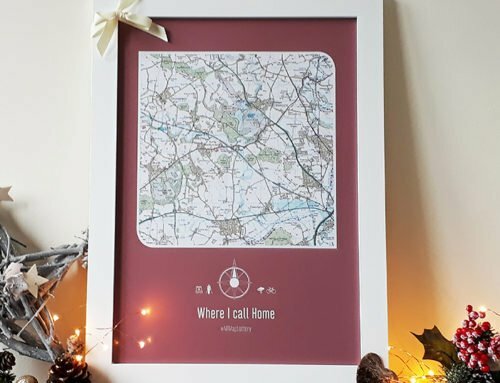 In this blog we will be showing you some of our favourite canvas maps, what different styles we have and what colours they are available in. 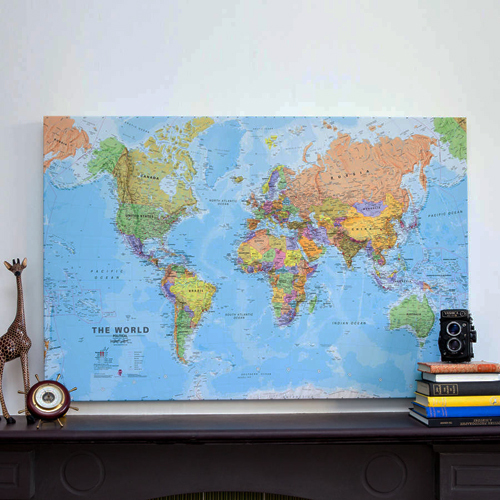 Our canvas map of the world is a politically coloured map to reflect the international country boundaries. It also features town and city population details, as well as geographic information. 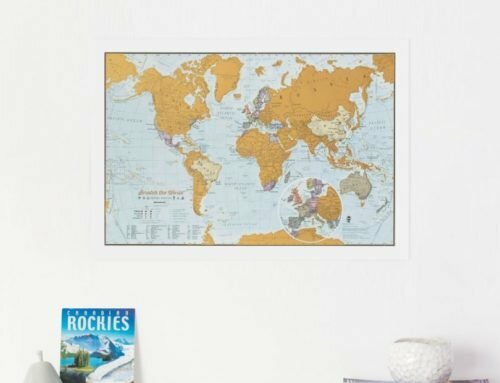 Hill and ocean shading are included to add to the stylish effect of this canvas world map. 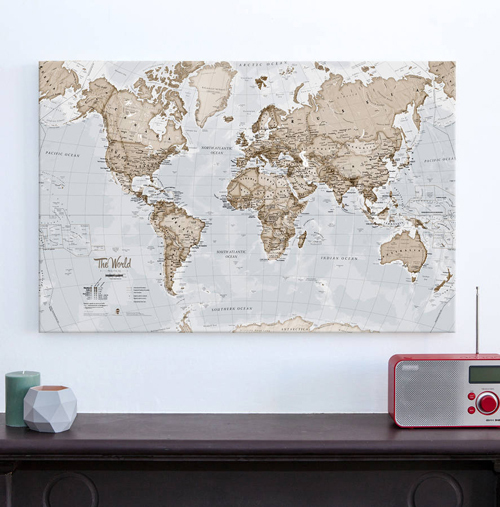 Available in 2 types of canvas finishes, this map would look great in any part of your home. 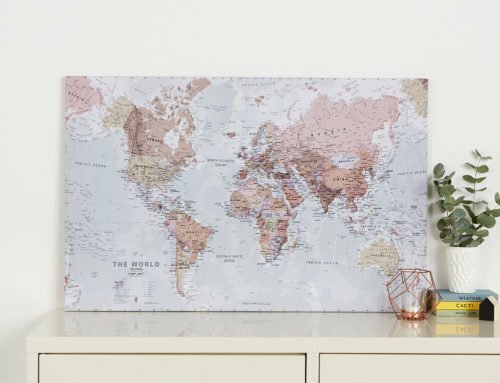 The World is Art canvas range is a unique and stylish collection that will look fantastic around the home. 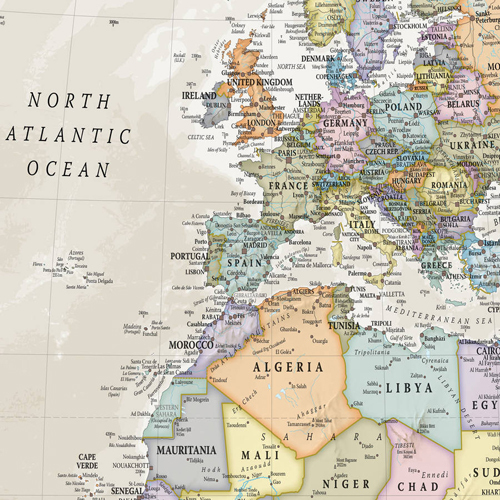 With hill and sea shading, it makes the world jump off the map towards you! 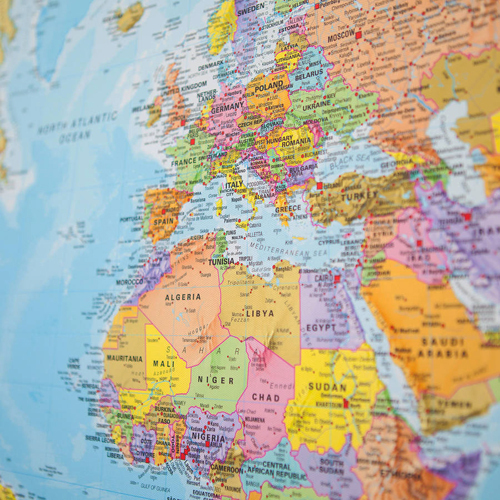 As the map is available in 3 different colours, you will be able to match it the décor of your home. 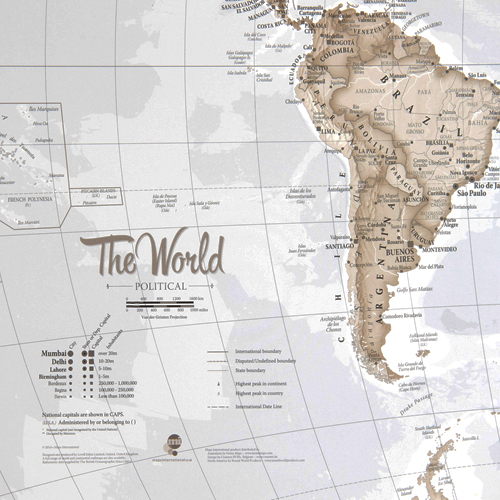 This map uses classic-style muted tones, and looks simply stunning and rather elegant. 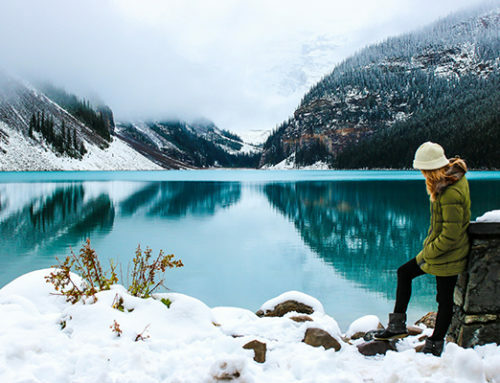 Our classic canvas has a vintage style to it, and would look great in any office or home. 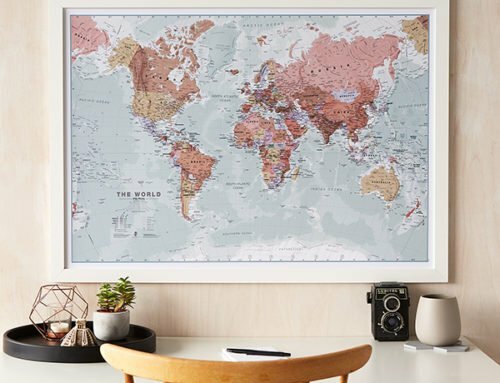 With its interesting and stylish appearance, buy this canvas map to bring a touch of style to your interior. 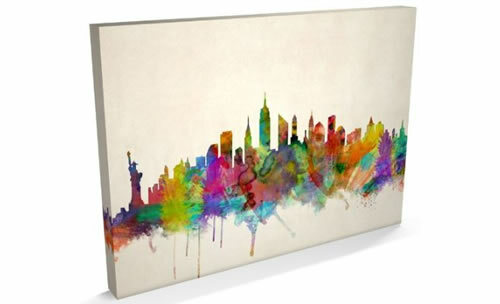 Our ranges of canvas skylines are a bright and colourful representation of your favourite city. 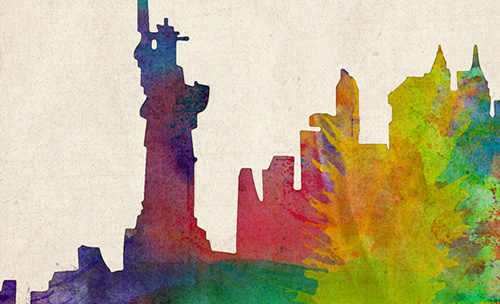 With bold, dynamic and exciting watercolours, the skyline of New York is brought to life adding a contemporary splash of colour to any wall where this artwork is placed. 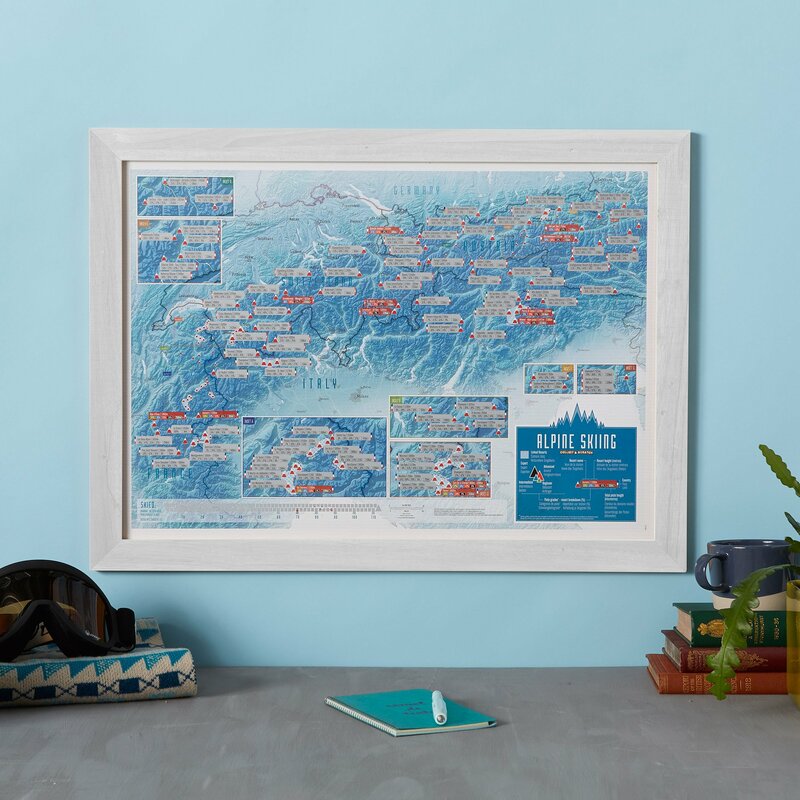 Available in several city street map designs, you will be able to find your city of choice that you may have travelled to or are planning a trip there in the future!